Summer in the city is steamy, sunny – and sweaty, too. For most of the year, New York is truly the center of the universe and the hustle and bustle is in full effect. But for a blissful few months, this not-so-tiny island and her dwellers give themselves permission to chill out. Summer Fridays. Weekends in The Hamptons. Rooftop bars. Even cocktails on boats that may or may not be docked. New York City gets summer, and I appreciate that. So, while you may think it’s a time to chill out from dating, I say otherwise because the weather brings about some of the best date ideas! There are so many islands to explore within the city. One of the most overlooked – but making a name for herself over the last few years – is Governor’s Island. Located just 800 yards from Lower Manhattan, she is basically a 5-minute ferry ride away. You feel like you’ve escaped the concrete for a bit while gaining some of the most incredible views in the world! 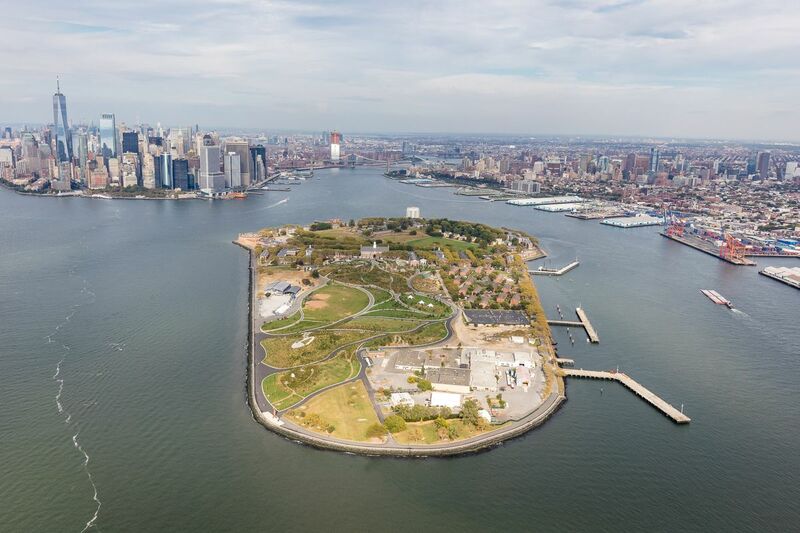 If biking, picnicking, or long walks aren’t your thing, well, Governor’s Island is still for you! The new waterfront bar called Island Oyster recently opened. Created by the crew behind Grand Banks, Island Oyster is a super cool summer destination. 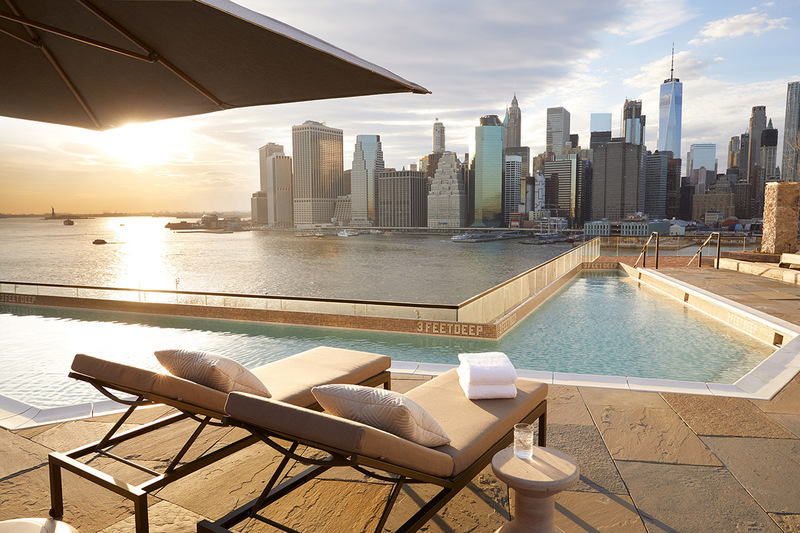 Featuring a delicious summer fare, a “tropically inspired” cocktail program and breathtaking views of New York Harbor and downtown Manhattan. Plus, the bar is right off of the ferry so it’s convenient for all the espadrilles and strappy heeled gals out there. Don’t take this architectural wonder for granted! If you haven’t walked The Brooklyn Bridge before, you need to. So, there’s that. If you have walked it before, I bet you haven’t walked it with that person you’re about to go out with. So, there’s also that. Taking the 60-minute walk across can be a great way to get to know someone, facilitate easy conversation, and a nice break from the traditional dinner and drinks. 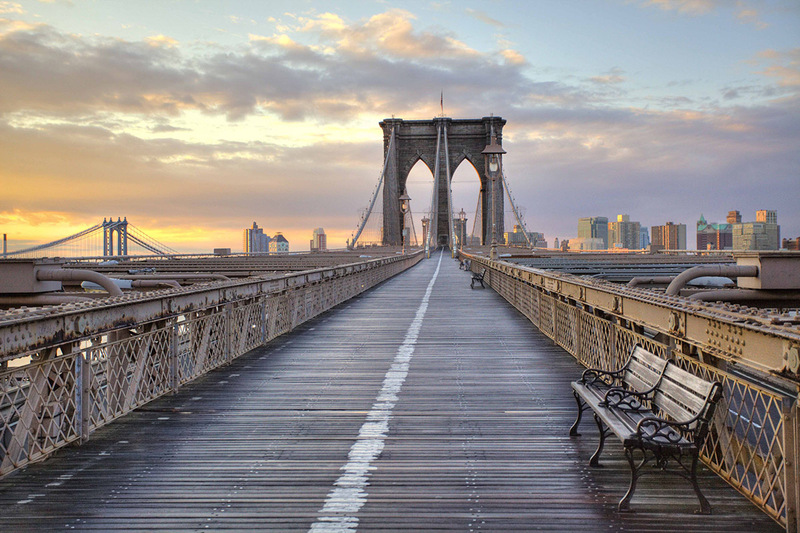 Once you get to Brooklyn, there are a plethora of experiences to choose from. 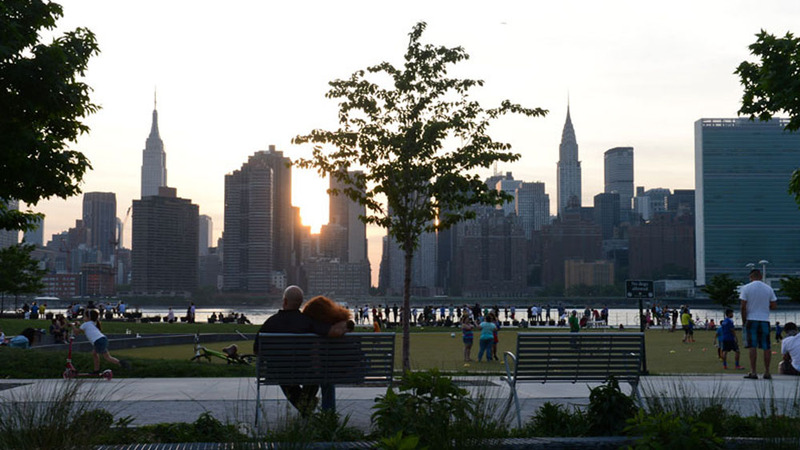 Walk around historic DUMBO with some of the most beautiful streets in all of New York City, grab a slice of pizza at Grimaldi’s, check out the views at Pier 1 and an ice cream from Blue Marble. There are more delicious dining options at River Cafe right on the water. You can also go off the beaten path a bit and check out Superfine or authentic Mexican at Gran/Electrica. A rooftop bar never gets old. It just doesn’t. They are always a good idea for a date. Speaking of The Brooklyn Bridge, checking out 1 Rooftop Bar is a summer must. With incredible views of Manhattan and The Brooklyn Bridge, there’s no better place to sip cocktails than this open-aired spot. Ophelia in Midtown East feels like you’ve entered Fantastic Beasts meets Frank Sinatra. Cathedral style windows and views of The East River, this could be the perfect date surprise to celebrate and watch The 4th of July fireworks! A rooftop bar in Times Square…wait, don’t stop reading. This rooftop bar is actually awesome and lets you enjoy the lights and fanfare of Times Square without the noise or pictures with Elmo. This rooftop is pretty neat. High above The Knickerbocker Hotel, St. Cloud is part biergarten, part speak-easy and perfect for an intimate conversation over a cocktail or a bite from their seasonal menu. Where are you headed first? We want to know! Ready to make that summer date happen? Contact us here and we’ll set-up a time to personally connect with you – talk about your dating goals, what you’re looking for in a partner, and how we can best help you. Whether you end up working with us or not, we can give you a few of our must-have tips to make dating in New York City a heck of alot more fun!